They can’t put on plays in the evening in Donetsk, because of the curfew. 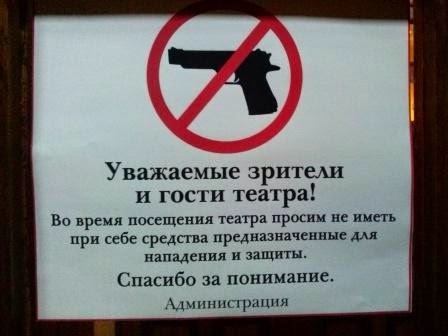 They have had to hang a sign on the theatre entrance saying ‘Please don’t bring weapons with you’ – but not everyone obeys. The stage is not just their calling anymore; it is literally home. The actors are living in the playhouse, because their houses have been destroyed by shelling or are on the frontline. One recent Sunday afternoon they performed Chekhov. The sound of shelling roared from the suburbs, but inside the theatre a string quartet played Bach to the pre-performance crowd. The Lord is my shepherd, I shall not want. He maketh me down to lie in green pastures… A frock-coated actor shepherded his flock into the darkened auditorium, leaving behind all the troubles and dread for two brief hours, two magical hours made of lighting and costume and make-believe – and words, words, Chekhov’s wry, witty, warmly humane war of words. That, to set against the real war outside. Afterwards in the dressing rooms, where actors live now with their children in a world of mirrors and make-up, where jars of home-made gherkins jostle with tubes of facepaint, we drank to peace. And to art, to theatre and literature and music, all those hopelessly fragile, endlessly enduring things. Thank you for this moving and important post, Lily.